Coconut flour is a minimally processed product. It was originally the byproduct of a coconut after extracting coconut milk and farmers would use it as fertilizer because of its high amount of nutrients. 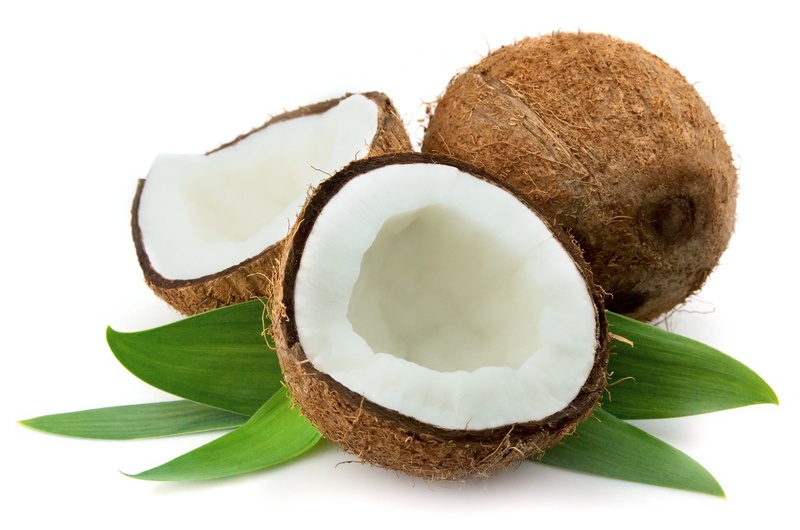 After extended research of the health benefits of coconut flesh, coconut flour was developed by removing the fat, grating the flesh and then dehydrating it. Coconut flour is gluten-free and wheat-free. According to a study in 2011 by Dr. William Davis, there has been increasing evidence that gluten can lead to lethargy and bloating and may cause tumors and arthritis. Gluten is also a very common allergen among dogs and some may eventually develop an intolerance to it. Coconut flour contains approximately 35% fiber. It is commonly believed that dogs do not need as much fiber as humans, but this is not true. Fiber greatly reduces absorption of sugar into the blood stream, lowers cholesterol, and improves digestive health by removing toxins. Refined flours are concentrated in simple carbohydrates which are rapidly metabolized and cause destructive blood sugar fluctuations in the body. Coconut flour contains less than 10% digestible carbohydrates. It is also ranked with a low score on the Glycemic Index (GI) which measures how quickly a specific food will raise your blood sugar levels. The slower breakdown of carbohydrates prevents the surge of sugar into the blood and improves the release of insulin. Coconut flour is a great source of protein for vegans, vegetarians and those looking for alternatives to meat protein. Most of the fats in coconut flour are medium-chain triglycerides (MCTs). These are healthy saturated fats that aid the metabolism. They also destroy bacteria that cause stomach ulcers, dental cavities, and cause urinary tract infections. Looking for Treats Made with Coconut Flour? Check out some of the below treats made with organic coconut flour and other organic wholesome ingredients for dogs. They are made in Canada in small batches using human-grade ingredients - wheat-free and gluten-free! So which dogs can eat treats made with coconut flour? In short... all of them! Coconut flour is safe for dogs and especially healthy for diabetic dogs or dogs with high cholesterol as it helps to regulate blood sugar levels. Ready to Start Making Your Own Coconut Flour Dog Treats? We highly recommend using coconut flour that is Certified Organic. In fact, we encourage everyone to take a deeper look into the difference between Certified Organic and "All-Natural". Made my Miniature Schnauzers homemade cookies using coconut flour along with an organic gluten free flour. I put healthy ingredients like canned pumpkin, bananas, egg, cinnamon, etc. They love them!